A note from Mary Margaret West: We all know how much friendship plays a role in the lives of teenage girls. You have an important role to play as you help them navigate these sometimes-rough waters. 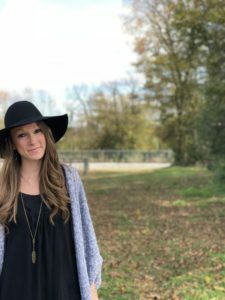 Rebecca has some great tips to help you be intentional in conversations with girls. If you’re looking for a Bible study on the topic of friendship, check out We Saved You a Seat by Lisa-Jo Baker. Teenagers are at a time in their life when it’s sometimes difficult for them to see past themselves. Yet this time in their life is critical to the person they can—and will—become. This is why it’s so very important that we step in and teach life lessons to them where we are able. One of these lessons should focus on friendship. Finding friends who are walking with Christ in the teenage years is sometimes difficult for these girls, and we need not forget that. Likely, you can empathize with this exact situation. So when the girls we lead find a kind and true friend who they choose to pour into, spend quality time with, and link arms to walk through these young years together, we need to be sure we’re equipping them with the tools to be a good friend. We shouldn’t take for granted that girls know how to be tried and true friend in the good times, let alone the hard times. It’s important that we adapt to the modern day and age of knowing how to be a good friend, but it’s even more important that we identify and embrace qualities that have stood the test of time and proven what being a good friend looks like. Here are some tips to share with the girls you lead to help them know what to do to be a good friend. They might seem like common knowledge to you, but in today’s world, we just can’t assume they’re known and understood. Spend time developing a meaningful relationship. True friendship takes time to develop, and not just time as a lump sum. Friendship doesn’t happen overnight, no matter how many consecutive hours are spent together. We must stand with each other over the days, months, and even years. While some of the girls you’re leading might be in high school, some of the friends they have then could be their friends in their sixties, seventies, and eighties, years and years later. Listen. Sometimes friends just need to talk to someone. Rather than jumping in to share, sympathize, or even console, pay careful attention to what you friend really needs. Do they just want to vent and be heard? If they don’t ask for your advice, they may not want or be ready for it. So just spend time listening if that’s what your friend really seems to need. As these girls’ leader, you’ll show them what listening looks like, so they’ll learn this quality by watching you, too. Be intentionally thoughtful. Being thoughtful takes just that: thought. And being thoughtful goes hand in hand with being a good friend. We must remember to remember. Tell your girls to send their friend a text message before a sports tryout, to deliver them a birthday card, or to ask how an event went that they were nervous about. Nurture the relationship by being unselfish. With friendship we reap the benefits of having someone to lean on, learn from, and talk to. But we can’t only lookout for ourselves. When a friend has a hard day, check on them that evening. If a friend loves a particular flavor of ice cream, buy them a scoop the next time you two are out. Or perhaps a friend is going through a difficult season and just needs you to be more present. Then be there. We all know those times come to us all, so explain that to your girls to prepare them to be a friend and to know they will, at some point, need a friend, too. Remind your girls to give selflessly to their friends. Don’t smother. While some seasons call for more time together than others, overall, don’t crowd your friends to the point that they feel smothered. It’s not a question of wearing out your welcome or not being able to be comfortable with your friends or not communicating often enough. But if a friend can’t go to dinner, has already made plans, or just wants to stay home, don’t make them feel guilty. 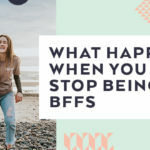 Encourage the girls you’re leading not to see their friend’s unavailability as a measure of how much they care, but instead, as a show of their friend’s loyalty to their commitments or comfort in being themselves. Accept criticism. First, know that a friend should not belittle or hurt feelings. A friend should uplift, encourage, and support. But once the friendship has grown, the ability to be honest with each other grows as well. So when a friend expresses heartfelt concern that the guy you’re dating might not be the right fit or that the party on Friday isn’t one you should attend, be willing to listen to them. You’ll need to help girls navigate the difference between insults masked as “honesty” and conversation marked with concern, but as your girls grow in their relationships (and with your help), they’ll be better able to discern when a friend has their best interest at heart. Be gentle. When the shoe is on the other foot, we need to be careful not to be harsh, unkind, or impatient. If you notice a friend getting involved with someone or in a situation that isn’t good or right, you must seek wisdom in appropriately handling the situation. If you choose to approach your friend about it, do so gracefully and gently. You, as leader, may have examples you can share with your girls—both examples of successful times of gentleness and not-so-successful times. After all, if we can learn from our mistakes, so can others. Return text messages. Yes, that’s it. Return your friends’ messages. If they ask you a question, answer it. If they want to get dinner, tell them yes or no. And don’t wait days to do it. Sometimes text messages can get overlooked, yes. We all make this mistake. But it shouldn’t be a habit. When the roles are reversed, you would want the same in return. Explain to your girls why answering promptly is important; it shows that you care and are considerate. Don’t gossip. Talking about your friends behind their backs is a big-time no no. And don’t think that talking to your boyfriend about one of your friends is a safe bet. If you two break up, he might not keep that conversation between the two of you anymore. If you need to seek wisdom about a particular friend situation, then by all means, seek guidance from a trusted leader and mentor. You can tell your girls that should they need help navigating a situation, they can confidently seek your help and guidance. Be loyal. If someone talks about your friend, don’t reciprocate. And kindly cut that conversation entirely—or leave. If you make plans, stick to them. Don’t cancel plans with a friend because something more interesting came along. Be a loyal friend by sticking together. You’ll probably want to warn your girls that this isn’t always easy. It can be awkward not to validate someone else’s thoughts and it can be hard to turn down other fun plans. But encourage your girls that it’s worth it because their friend is worth it. Again, likely you know these traits and you’ve seen these qualities take shape over the course of your life in your own friendships. But the girls your leading need your guidance with these. So take time to teach them these characteristics and support them as they grow in their friendships with one another. Rebecca Lee Curry is a born and raised Tennessean and lives just outside Nashville. She works as a full-time editor and is studying English in graduate school. A lover of creativity, she happily enjoys crafting the written word and believes in the encouragement words can provide. Rebecca has a lot of energy and loves to spend it reading, music[ing], camping, running, baking, dancing, cheering on the Vols, and being with her family. 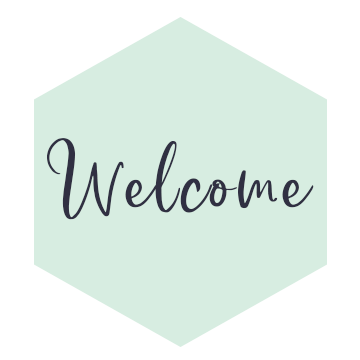 We’re so glad you’re here! If you’re leading teenage girls, you’re in good company. You’ll find articles, online Bible studies, and lots of fun stuff. 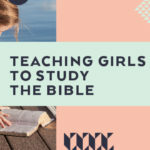 More importantly, you’ll connect with other women who love God and love ministering to girls. Sign up to get a monthly newsletter from us including information about the latest resources and events! If you’d like to receive a notification every time we post something new on this blog, enter your email address to subscribe and receive notifications of new posts by email.